Each year Iris puts on a show and each year there are more and more in the garden so we divide them up and create other Iris pockets. 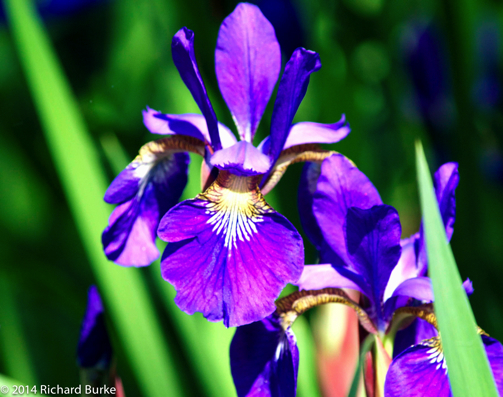 They are usually called bearded iris because they seem to have a face with a beard. This was taken on a Nikon D3100 with a 50mm-300mm Nikon Lens at 240mm at f11 for 1/160th of a second at an ISO of 400. You can buy a print of this one by clicking here. Each year Iris puts on a show and each year there are more and more in the garden so we divide them up and create other Iris pockets. This was taken on a Nikon D3100 with a 50mm-300mm Nikon Lens at 240mm at f11 for 1/160th of a second at an ISO of 400. You can buy a print of this one by clicking here.